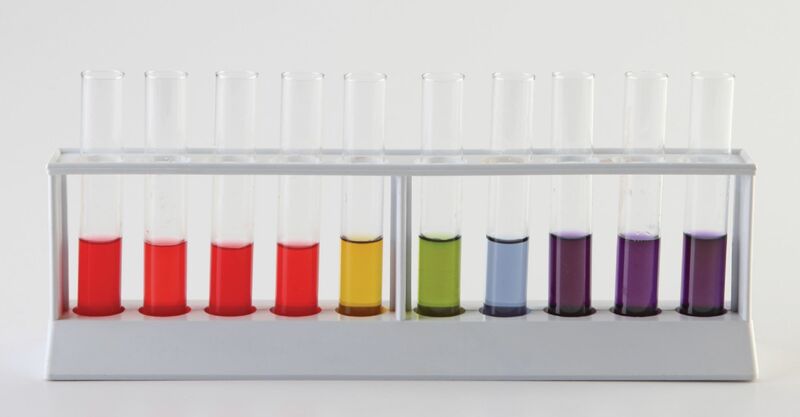 This lab activity helps students become familiarized with the concepts of molarity, dilutions, indicators and PH. Start off with 1 M solutions and then dilute them from a pH of 0 to 14 to a pH of 7. The colors of the solutions will change accordingly as the acidity is altered. Ordering information: Materials include Hydrochloric acid, Sodium hydroxide, universal indicator. Materials required but not included: test tubes, test tube rack, graduated cylinders, DI water, pipets.